Cleveland, OH (April 22, 2015) – At the cornerstone of Howard Hanna Real Estate Services’ company culture is the belief that the American Dream of home ownership is accessible to everyone. Today Howard Hanna launches a program geared towards helping those who are new to purchasing a home. 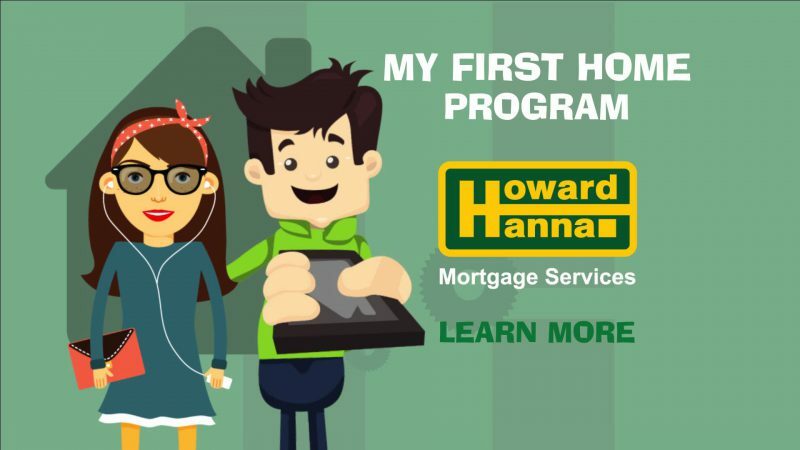 “Howard Hanna Mortgage Services is pleased and proud to announce the My First Home program. This innovative program is designed to target first time buyers and specifically Millennials, those born between the early 1980s and the mid–to–late 1990s, one of the nation’s fastest growing segments of homebuyers,” said Mark Steele, President of Howard Hanna Mortgage Services. According to the recent National Association of Realtors Home Buyer and Seller Trends study, the share of first time homebuyers has fallen to its lowest level since 1987. Howard Hanna Mortgage Services created the My First Home program to help these borrowers finance many of the closing costs associated with purchasing a home, making it easier and more affordable to become a homeowner. This program is available to homebuyers who have not owned a property within the past three years and is offered in conjunction with a 30-year fixed rate FHA mortgage. In addition to the special financing package, the My First Home program will be explained to potential buyers by first time buyer advocates, Howard Hanna Mortgage Loan Originators. “We will thoroughly review the mortgage process, explain what terms such as points are and what it means to lock, and when you should do it. We understand that buyers, especially millennial buyer, work hard for their money and want to be respected for that,” added Steele. More information is available at HowardHanna.com/FirstHome including an array of other homebuying tools geared to the millennial buyer, including Google Hangouts, educational content and other online tools. Howard Hanna has also invested in the Hanna Mortgage To-Go app, making it easier to connect homebuyers with mortgage loan originators. Loan originators are available in all Howard Hanna neighborhood real estate offices, at HowardHannaMortgage.com or 1-800-474-4437 in PA and 1-800-589-1118 on OH and MI. Howard Hanna Mortgage Services is the 4th largest real estate mortgage company in the United States* with 6,857 transactions last year totaling more than $1.1 billion in closed loan volume.